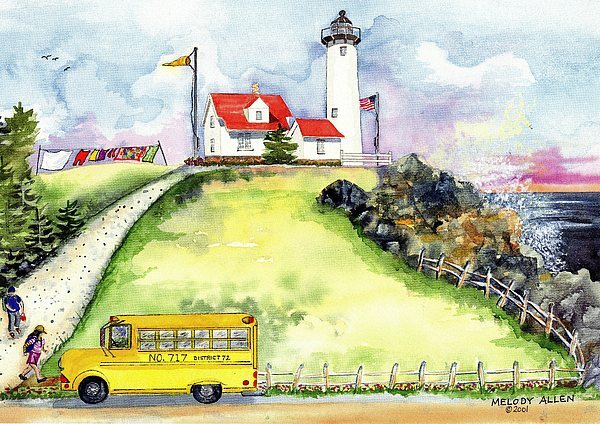 High Point Light is a painting by Melody Allen which was uploaded on October 5th, 2010. Light house perched atop a hill. Two children run for their school bus. Looks like it is wash day. There are no comments for High Point Light. Click here to post the first comment.